Fabulous good quality fragment from a Flemish battle scene, circa 1650. 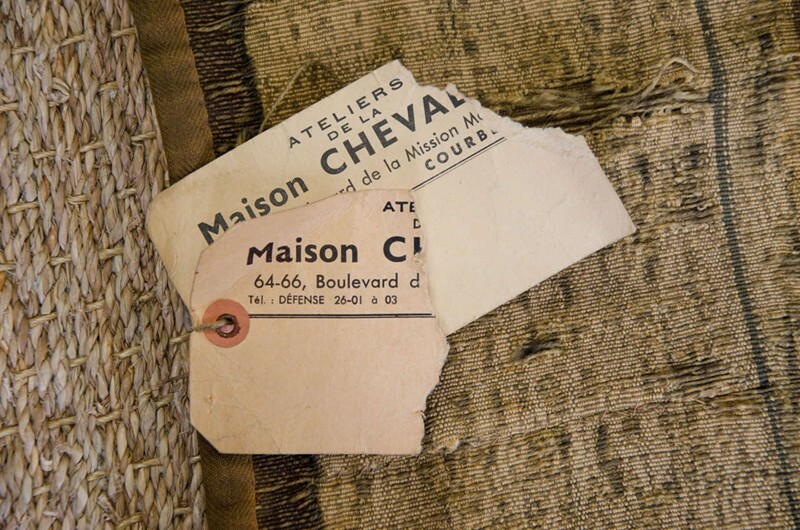 Retaining labels from Maison Chevalier, Paris. Dimensions: 270 cm x 240 cm. 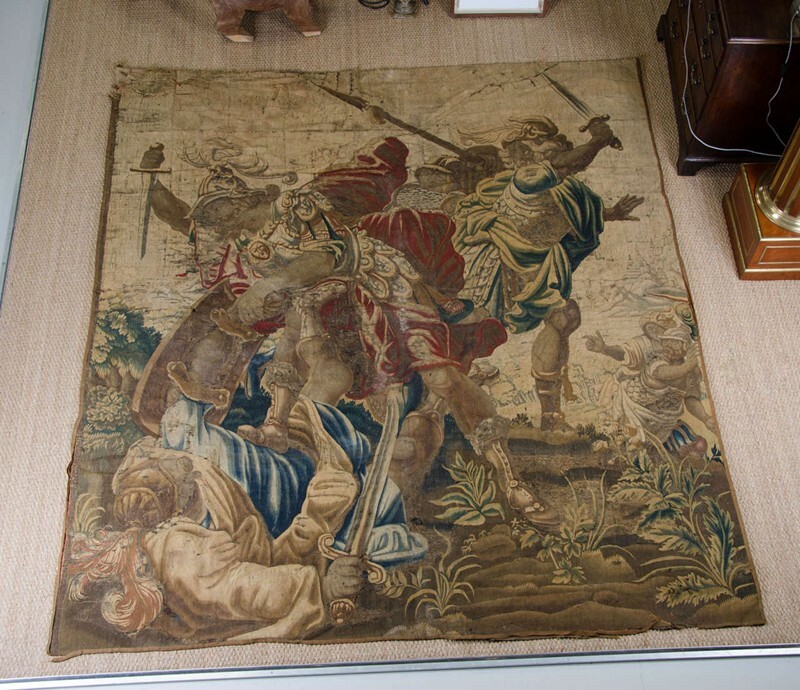 Professionally re-backed with linen, cleaned and restored, an impressive piece. Please contact us for more photos (The current photos are pre-restoration). Comes with bronzed steel hanging pole to suspend the tapestry.